One of the recipients for the 2016 campaign was the Clarenceville Education Foundation. The Clarenceville School District of Wayne and Oakland Counties is located at the southern edge of Oakland County and includes sections of Livonia, Farmington Hills, Redford and Southfield. It is comprised of approximately 1,900 students in one high school, one middle school and two elementary schools. 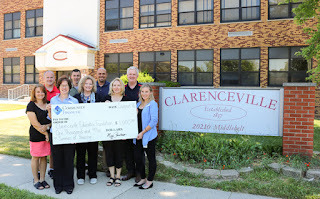 The Clarenceville Education Foundation will use their Summer of Sharing donation to provide grants to teachers in the school district when school returns this fall. The donation will allow them to run special programs that the school district cannot afford to run. At a time when schools continually face budget cuts for things like technology, classroom supplies, and special programs, this donation will help fill the gaps in educational programming. "This donation will further our mission by providing additional funds for the 2016-2017 fiscal year to our amazing teachers and students. We are very excited to receive this amazing donation and recognition from Community Financial," said Daniel MacIver, who serves as the Treasurer of the Clarenceville Education Foundation. The Summer of Sharing campaign runs through September 2. This year Community Financial is donating $65,000 to the community to celebrate its 65th anniversary. You are invited to visit SummerOfSharing.org to learn more about how you can share your story and nominate a charity, community group, or school program that deserves a $1,000 donation. Don’t miss out on this opportunity to make a difference in your community! 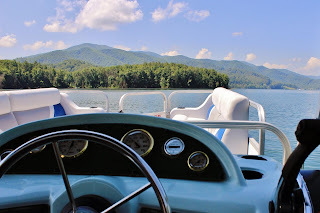 Boating On A Budget: Staying Afloat Without Drowning In Debt! It’s no secret that buying a boat can cost a pretty penny. Some boat-owners like to joke that “boat” is an acronym for “bring on another thousand.” This can be an expensive hobby, but also a rewarding one. Let’s look at a few ways to save money while keeping your dream boat from becoming a nightmare. 1.) Avoid stuff labeled ‘marine’ Retailers know people who own boats tend to have a little more disposable income and expect to spend a lot for maintaining their watercrafts. This leads them to inflate prices on boating rope or boat window cleaner. In many cases, conventional products for land craft will do the same job just as well for quite a few dollars less. Learn other money saving tips for your boat at boatus.com. If you’ve got friends who are heading to the same lake, see if you can split trips. You can take them around on your boat, then they can do the same for you. Not only will this let you both experience being captain and first mate, but you’ll also spend half as much on fuel and get to make quality memories with friends in the process. Marina prices for fuel are likely considerably higher because marina operators know they have a captive audience. With a 15-gallon spare tank, you can make the trip to a land-locked gas station and save a few bucks on fuel (one of the biggest expenses of the weekend). However, if the gas station sells gasoline with ethanol in it, pay attention to what you are buying. Many gasoline-powered engines (especially older models) were not built for E15, which could damage the motor. Sandwiches can get boring and bait shop hot dogs are expensive. Instead, look to step up your cooking game on the boat. A single burner electric hot plate is all you need for stir fry, taco fillings, and other simple dishes. A little bit of planning can help you be more sophisticated. Bring wings and buffalo sauce, cook them up in the skillet, and have your favorite bar food on the water! Make sure you do the chopping beforehand and keep the ingredients in plastic containers in the cooler. Also, only do your cooking at anchor in calm waters. Michigan boasts the world’s longest freshwater coastline, 99 state parks and thousands of trails throughout the state. Community Financial thinks our members should go out and enjoy it all – so we offer boat, recreational vehicle and power sports loans to make it possible. If you have always wanted to own a boat but were unsure about the financing, stop by any of our branches or call us at (877) 937-2328 for a personalized quote. Now that summer is officially here, boating can be a great way to unwind with family and friends. With more than 80 Great Lakes harbors and marinas, as well as generous public lake access, there's plenty of opportunity to open up the outboard or lift the sail. Safe travels! We live in a global society. Whether you want to go into sales, machinery, medicine or anything in between, someone in your industry is going to be translating between foreign-language speakers and English-speakers. That someone is going to make quite a bit of money! While the exact numbers on the bump in pay you’ll get from speaking a foreign language are murky, experts estimate an hourly bump of between 5% and 20%! If your career plan ever falls through, you’ll always have those skills to fall back on, which makes you a viable candidate across a spectrum of new job opportunities. If you don’t know where to start, sites like Duolingo are excellent jumping-off points. There are dozens of YouTube tutorials on syntax, grammar, and expression in other languages, too. The only really wrong answer is not starting at all! Whatever job you hold in the future, it will almost certainly involve a computer. Learning to use a common piece of software can give you a serious leg up when it comes time to find a job. Look to programs with clear business applications. The Microsoft Office suite, especially programs like Excel and Access, are first steps. If cost is an issue, consider experimenting with Google’s Docs, Sheets and Forms. These are free and cloud-based, so you can keep playing with them on your smartphone when you hit the road. Skill with programs like Access and Sheets is the #2 most in-demand skill. These versatile programs can be adapted to a variety of interests. For example, while learning, you could track the statistics of your favorite baseball players, monitor the prices of hot clothing brands or catalog your music library. The important thing is to start experimenting. Discover the capabilities and limitations of these popular pieces of software. For many positions, the ability to communicate ideas clearly is of vital importance. Like any other skill, you get better at this the more you practice it. The only way to become a better writer is to write! It matters less what you write than the fact that you’re writing. You can try your hand at blogging. Whether you want to talk about the NFL draft, new albums or video games, sites such as Blogger and WordPress are free to try, and might connect you with other people who share your interests. Your writing skills will probably help you with future job searches, but they’ll also be useful for the rest of your school career. Papers and essay tests will be a breeze, and cover letters and college application essays will help you stand out from the crowd. Just write, edit and write some more! Remember it’s not just young children that need to continue learning over the summer months. Encouraging the teens in your life to spend their summer learning new skills could help better prepare them for college and beyond. 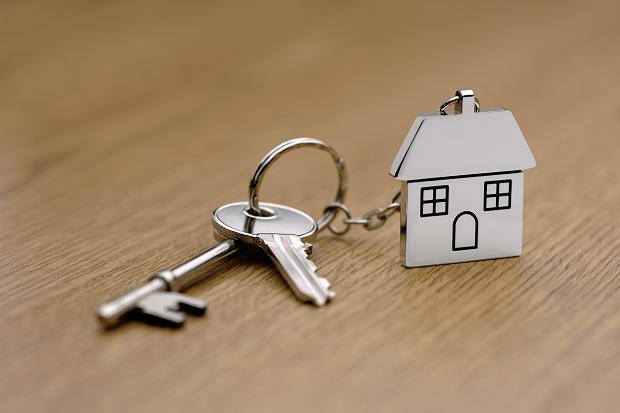 If you’re going house-hunting in the next year, there are three steps you can take right now to improve the terms of your mortgage. Your credit score is determined by three different credit monitoring agencies: TransUnion, Equifax and Experian. Paying debts off, making payments on time and using only a small percentage of your available credit make your score go up. Missing payments, opening many credit accounts or carrying a significant balance of debt from month-to-month will decrease your score. You can check your credit report for free once a year at annualcreditreport.com. Note that there may be a nominal fee to receive your actual score along with the report. There are many similar websites, but many of them will charge you. If your score isn’t at the level you think it should be, there may be errors or inaccuracies that are dragging down your good name. Look for accounts you don’t recognize or balances that are not up-to-date. The report comes with instructions for challenging any item. In most cases, you can leave a note for lenders in the file explaining the item under dispute. 2. Boost Your Credit Score! If you’re working on raising a low credit score, a good target number is 640. This will generally put you in the prime group and ensure you don’t have to pay extra on your mortgage because of credit. If you’re building good credit, 740 is generally the lowest super-prime score, which will give you access to some of the best rates and terms available. One of the biggest drags on a credit score is percentage of utilized debt. If you’re carrying a balance on credit cards, this tells lenders that you may be using credit to pay for your day-to-day expenses, and that lending you more money would not be a smart move for them. Getting balances to zero should be goal number one! Also, take care that you don’t make any major purchases using credit right before you attempt to qualify for a mortgage. Hold off until you have the cash in hand before you splurge on a new TV or car! Taking these three steps will put you on the fast track to affordable home ownership! And as always if you have any mortgage questions we are here to help! Contact us at (877) 937-2328 ext. 8500 or visit cfcu.org/mortgage for more info.